People know that regular carpet cleaning is important for a variety of reasons, but some tend to treat upholstery cleaning as an afterthought at best. This is a mistake. With the best cleaning products, techniques and experience, our upholstery cleaning will keep your furniture looking new, eliminate stains, remove allergens, and make rooms feel cleaner and fresher. 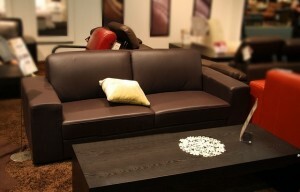 Most home upholstery is subject to a lot of daily wear and tear. Why would you be content to live with dog hair and pet odours, that wine stain that never quite came out, or other common factors that take away from the beauty of your furniture? You want to enjoy and even show off your home living spaces. For most people, that means keeping your furniture looking, smelling and feeling its best. Our professional home upholstery cleaning—which can be done alone or in conjunction with carpet cleaning—begins with a physical inspection for problem areas and application of pre-treatment solutions if needed, followed by a thorough dirt-extraction and cleaning process. Our clients are amazed to discover how much dirt was hiding in their upholstery—and even more amazed by the beautiful results. Because your car also represents a major investment, keeping it clean—including occasional deep cleaning of the upholstery to remove built-up dirt, pet hair (if your dog is a regular passenger), and common stains—is vital to maintaining its worth. 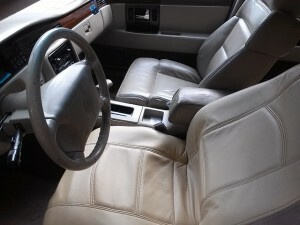 We know car upholstery materials inside and out and will always use the cleaning materials best suited for your car. And the payoff is huge—you and your passengers will immediately see and feel the difference after we’re finished with your professional car upholstery cleaning. For many boat owners, their boat is their pride and joy. But while you probably take great care to maintain its exterior, the interior—including the upholstery—is sometimes neglected. 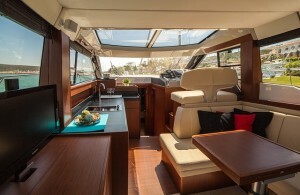 We have extensive experience cleaning and treating different types of boat upholstery to keep it looking its best and lasting the longest, from vinyl (the most common) to laminate and leather. For obvious reasons, it’s critical that your boat upholstery not only look good but retain maximum resilience in the face of all outdoor elements. You can rely on our technicians to fully clean and treat all upholstered surfaces on your maximum beauty and durability.